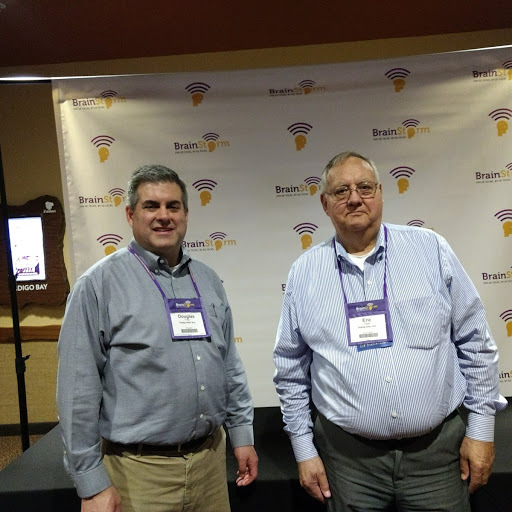 The Education Connection (TEC) attended the Brainstorm 2018 Educational Technology Conference at the Kalahari Convention Center in Sundusky, Ohio. Brainstorm is a conference held by Education Technicians, for Education Technicians to support the technology necessary in today's educational institutions. Brainstorm is part of The Midwest Technology Association (META, Inc.) from Wisconsin. There were attendees from Ohio, Indiana, Michigan and Pennsylvania and TEC got to interact with many experts. The Education Connection was a speaker on Tuesday May8th. Douglas Fritz and Eric Piper provided a session on IP devices. The Session was "The 30's Called and They Want Their PA, Bells, and Clock Systems Back" which discussed utilizing IP devices to replace "old school" public address systems, clocks, and bell systems which makes sense from a services, safety, reliability, and cost perspective. IP devices provide lower cost of installation, eliminate single-use networks, allow easy software up-gradable services, are extremely customizable, comply with current ADA laws, and improve school safety. The TEC session was rated excellent in post conference surveys of attendees and met the audiences expectations.